A new report from the ACLU calls out three shelters as former residents recount harrowing stories of life inside. When she first moved into the Bridges at Kraemer Place shelter, Jan was optimistic. The southern California homeless shelter, which had just opened a couple months prior, seemed clean and well-organized. “It was so fun,” she said. “There was karaoke.” But things quickly went downhill, said Jan, who asked that we only use her first name for fear of retribution over speaking out about the shelter conditions. 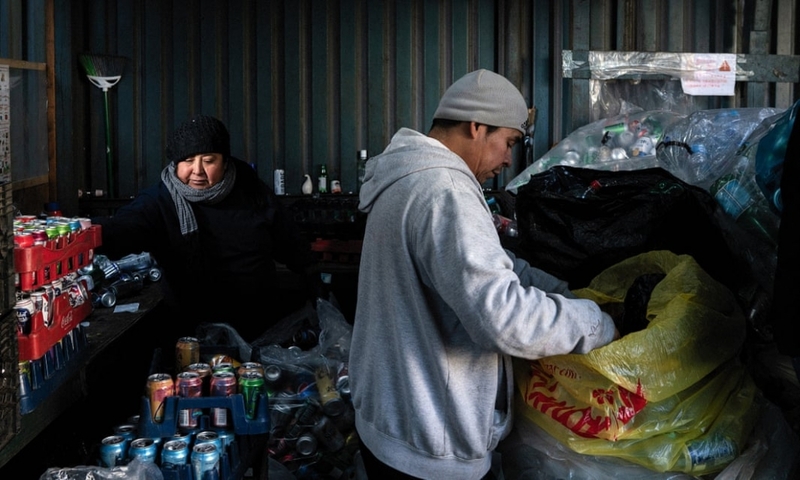 California is moving homeless people into sheds – but is it right? Bridges at Kraemer Place is one of three California shelters condemned for its bleak conditions in a new report from the ACLU. All are in Orange county, one of the wealthiest counties in California, which has been ravaged by a homelessness crisis. Last year there was an outcry after bus stops abutting Disneyland, one of the county’s largest employers, were stripped of benches that homeless people slept on, and local authorities were criticized for evicting hundreds of people living in a riverbed without offering them an alternative place to stay. The ACLU report details a dizzying list of abuses and unlivable conditions, as reported by shelter residents, volunteers and staff. The shelters were racked by infestations of rodents, roaches, bedbugs and other pests, and plagued by a culture of neglect and abuse by shelter staff, the report alleges. “The shelters … fail to conform to standards set forth by international human rights law, which establish the minimum standard of living adequate for health and well-being,” its authors write. But the ACLU report demonstrates that it is not just the availability of shelter beds – but the quality of the shelters themselves – that’s important. Estle died in a shelter bathroom in April 2018. Jan knew something was wrong when the bathroom door was locked overnight, she said. “I’d been telling [shelter staff], ‘break down the door, something’s wrong’,” she said. “They didn’t do anything.” When they finally opened the door, Estle was found dead, Jan said. Kraemer Place did not respond to a request for comment. Both Rodas and Jan have moved into housing now – “by the grace of God, I got out”, Jan said – but because of their experience with the shelter system, they have both dedicated themselves to changing Orange Country’s shelter system for the better. “Now I’m blessed, but not everyone’s blessed,” Jan said. Written by Francesca Berardi for the Guardian.